We never question why the Amazons, Facebooks, and Googles of the digital world soar like they do. We might assume it’s money, and there’s no doubt that funding carries big advantages. However importants funds are, it is strategy that creates the win, not battle tactics, systems, or armies of staff. These iconic brands have wasted money and learned from it. And they’ve also learned not to compete. Their strategy was to target a promising market, usually on the cusp of some technology trend, then dominate it with minimal worry about competitors. See this interesting post on CNBC about Google and the type of culture they have (including the freedom to fail fast). 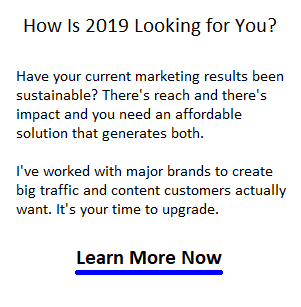 This post will be of interest to any marketing person or business owner who want to simplify strategy and use it to win a new job, win their market, or improve their own profitability. Mastery of overall digital strategy is a difficult matter – from plan to strategy design to execution and adopting systems to help you, there’s a lot to know. I’ve discovered that learning and staying on top of it requires a lot of energy and stamina. “Everybody wants to talk about strategy and competitive advantage, but nobody wants to admit they don’t know what it is,” — Tim Lewko, Vancouver Strategy Consultant. So why study strategy now? That’s easy — there’s new software called Artificial Intelligence Marketing Software – a brilliant solution that goes way beyond marketing automation to give creative marketers tremendous power to be strategic. And to stay employed, we’ll need to be savvy with the new AI software and its power. The onus to retrain, reposition, and upskill to stay current with AI will be ours. Businesses and government may not want responsibility for helping us discover how we’ll fit into the workforce in this new era of AI assisted business. This is the big struggle for us all. This isn’t an article on AI adoption, yet it is difficult to talk about digital marketing or strategy now without AI coming into the conversation. When you have a moment, read this Marketingweek post on the implications of AI for marketing professionals. You’ll find a 8 point plan of basic strategy below. Western thought on business strategy is that you should attack your competitor’s strengths head on and crush them. Sun Tzu advised us to focus on and exploit their weaknesses. A new school of strategic thought is that you should avoid battle entirely – that competition for losers. This means all of your time and resources might go into understanding, engaging and winning the market. In marketing, you have the ability to create a unique brand that battles for positioning in the customer’s mind. The only actual competition you might face is in buying Adwords and Facebook ads in competition with other businesses. That can be destructive to your budget. Every once in a while, we may have to listen to some of Sun Tzu’s battle tips, yet avoiding direct warfare is better. 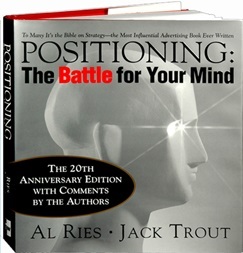 And you do that through smart positioning (as Jack Trout wisely advises). As part of your digital marketing strategy, you can position your brand to ruin the value proposition of a noisy, troublesome competitor. In this way, you take control of the market without direct battle, just like Sun Tzu actually did advise. You can master strategy. Years ago, I enjoyed the challenge of chess which you may know is a game of thoughtful strategy. My friend Albert O was a chess champion from the Philippines. That was interesting that I became friends with an expert level chess player. He beat me quickly everytime without much effort (the first time in 3 moves). Embarrassed, I sought and found good chess strategy book from the library and I delved into the different master techniques. Long story, short, months later, after 30 to 40 games I finally beat him. Time spent on learning strategy is well spent and Albert was pleased that he had to try now to beat me! I don’t believe I ever met someone with a better attitude. Interestingly, I found some particular strategies that worked best for me, after trying and testing a variety. I was looking for something basic where I could at least delay Albert from beating me. The Queen’s Gambit or the King’s Gambit seemed to work best against him and others. I don’t know why it worked for me. It could be that players don’t understand how to defend against particular strategies, not what I did. Your strategy might be one unique to your skills, resources and capabilities, and not a particular thematic approach. For instance, your AI marketing or marketing automation software may encourage you to do things a certain way, when it doesn’t work for your company in your market. And the matter of resources vs skills is important too. Your strategy might change depending on how much money you have to hire a coach, your coworker’s skills, software and service subscriptions, advertising channels, whether you can improve your product, and with respect to the opportunity in your specific market. Learn more about using AI marketing solutions in real estate. The real estate market and Realtor professional is being tranformed by AI. Today, because of how Google and Facebook have monopolized online marketing, business owners just pay to play, and they do it without much strategy. If you search on Linkedin or Indeed.com, you’ll discover little demand for the title: marketing strategist. Because the boss assumes he or she knows enough and can steer the ship. But we know a lot of CMOs are quitting their jobs because being the chief strategist is a tough job and they’re failing. If you manage a business, you’ll have to learn strategy yourself, and improve, or hire a strategist to help you. If you’re a control freak, that’s fine. Hire them as an assistant. You’ll likely get more business and profit value out of this person rather than hiring another button pusher in your marketing department. With artificial intelligence software making headway in marketing departments, it’s the higher level skills of strategy and planning that will be in demand. What’s nice about practicing strategy without big money, is how you’ll need to think and work harder. And you’ll certainly have less waste as you learn the ropes. As handy as AI marketing software is, it won’t be able to plan your digital marketing strategy, social media strategy, SEO strategy, outreach strategy, or dream client acquisition strategy. This is your domain. Although you’re trying to avoid direct battle with the competition, your prospects are aware of them. We all like to have options. For that reason, you would be wise to use the above 8 building blocks to get your audience focused on your strengths only – to build an undying preference for you. You destroy your competition by how you present your strengths in relation to customer’s needs and your competitor’s weaknesses. For instance, Google never bad talks the competition. Google is positioned as an internet service company that gives people what they want. Its competitors didn’t and still don’t. The competition’s weakness is that they needed revenue, but Google didn’t initially need immediate return. Google positioned itself on the word free, fast, and on fulfilling the web searcher’s quest without asking anything in return. It created sustained brand value. 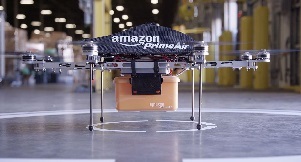 Similarly, Amazon positioned itself as the fastest, most complete online shopping portal. Lots of products and fast cheap shipping has allowed Amazon to take marketshare from brick and mortar stores across the world. The talk of driverless cars and drone delivery bots just drives home the point that competitors can’t do what they can. What can you do that your competitors can’t? With artificial intelligence driven marketing software rising, companies are looking to jettison agencies and bring AI marketing in-house. A CEO looking at value and power might not believe an agency can build the necessary top-level skill and expertise in their industry. Nor can they bring the whole agency in-house. Instead, the smart CEO will look to hire one or two skilled strategists with industry expertise to manage marketing campaigns with the new AI software. It’s both efficient and very powerful. Now more of the marketing budget and time can go directly into their campaign. We could be talking about anywhere from $50,000 to $300,000 more dollars to put directly into marketing campaigns and use AI marketing robots. That points to a demand for the new type of marketing professional. When the AI tsunami hits, there will be a frenzy to achieve the above situation. Any company that has an extra $300k to put into their marketing will grow marketshare fast. Too much of the budget is going to wages. Everyone will have marketing automation in place soon. What they don’t have is enough talented, creative senior people who do their work strategically. Let’s face it, if you have a staff of 5 marketers who are talented, your AI marketing solution can really power them up. AI marketing solutions do the dirty work of testing, timing, and reporting. 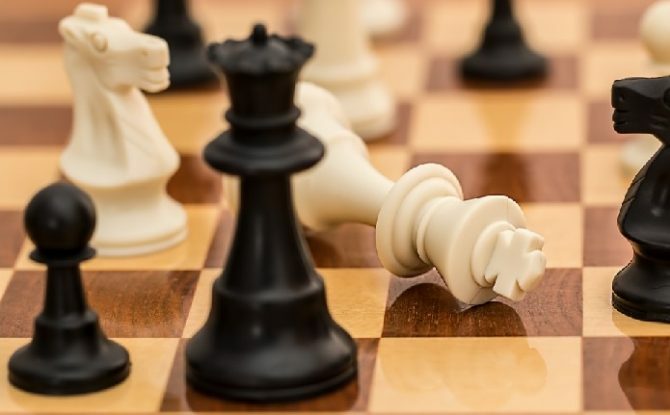 Your strategists guided by you, can find out if something like the Queen’s gambit or King’s gambit is the best strategy. Or perhaps, they’ll discover they have the power now to use an even higher level strategy, going up against IBM’s Watson system. On that note, who will win the Marketing AI war? IBM’s Watson or a smaller solution such as Boomtrain or Albert? Whoever is the best strategist.